The key to selling items is great pictures. I'm definitely not "the" best at taking pictures, but I know for a fact that this is true. If two people are selling the same exact items, the one with the better picture will win out. In my business, I especially want to be the one with the better picture, since my field is saturated with many crocheted artists that are equally talented. You want and NEED to stand out against everyone else, so make sure your pictures speak volumes about the quality of your items. I have been selling my crocheted items for over 4 years now. Along the way, I've have learned some basic, and key, tips to remember when capturing your work of art. 1. GET A LIGHTING BOX - This is honestly something that I do not have, but I know it is something that I need. You can buy these online or even make them. There are lots of DIY sites explaining how to do so. A lighting box will help get bright, shadow free, and clear pictures. Actually, many of the other tips I list can be pushed aside, if you have a lighting box. They are not that big, unless you want them to be, so you don't have to worry about them taking up a lot of space either. 2. OUTSIDE - If you don't have the lighting box, I believe the best pictures are taken outside. The lighting is fantastic (on a bright day) and nature makes for beautiful pictures. 3. SOLID BACKGROUND - Again, if you do not have a lighting box, or are not taking pictures outside, make sure you have a solid background. I've seen a lot of people take pictures of one crocheted item on top of a crocheted blanket. Yes your blanket is beautiful, but when you have multiple patterns and color schemes, things tend to clash. Your item will get lost in the confusion, and it does not portray it well. I use either an ironed white sheet or table cloth, or white blanket that is wrinkle free. The solid background really keeps your focus on your item. 4. CLEAN UP - It doesn't matter if you are taking your picture inside or out, make sure your area is clean! The last thing people want to see is your kids toys laying all around, or trash in the corner of the picture. When your outside, try to find a neutral background, maybe a field, or the woods. If you are taking a picture in front of a play set, or with the neighbors houses behind your item, it will, again, get lost in the picture. It also shows that you don't care too much about your personal surroundings and leaves customers questioning how much you care about their order. 6. SUNNY DAY - Whether you are taking your picture inside or outside, save picture taking day for a bright sunny day. The natural light looks best when capturing your creations. 5. LIGHTS - If you are taking the pictures inside, use all the lights you can. You don't want a dark, picture that casts a lot of shadows. I promise, it does not look nice. When I take pictures inside, I set up near an open window, where the sun is currently shining through, turn all the lights on in that room and adjacent rooms, AND, bring over my standing lamp to put right next to my station. 6. LOAD UP ON PICTURES - Once you get ready to take pictures, take a lot! You want to take multiple pictures at each angle, or each different set up. Try it with the light behind you, and then again with it on the side. The beauty of technology today is that you can delete what you don't use! You don't want to finish taking pictures, and then when you sit down, realize you don't have a good shot. Therefore, take more than you think is necessary. 7. ITEMS IN USE - If your item is something that will be used, then show it that way! If it's a hat, have a cute model wearing it! If it's a blanket, take a picture of it keeping someone warm. People want to see it in action. Especially baby sets and photo props (they always look so much cuter on a baby)! My 3 children have come accustomed to being my models, heck, even my husband has! If you don't have the proper person, try to work around that. I've seen people use a stuffed bear or even just using the styrofoam heads work. You can take pictures of items laying down flat, but sometimes, it doesn't show all the great qualities. 8. MODEL COLORS - When you are making an item that you hope to sell a lot of, make sure your model item for pictures is in a desirable color. Yes you may love brown and yellow together, but you really need to think about the audience you are trying to attract. The background you intend to use for your pictures is also something you need to think about when choosing colors for your model item, because you don't want them to blend into each other. Going with neutral colors is always a good bet. You could even make the same item in a variety of color schemes as well so that people can really see what it will look like in their favorites! 9. EDIT - Whether you are taking photos on your phone (which I'm guilty of) or your fancy shmancy camera, make sure you take advantage of all the edit settings you have. Crop out those dirty dishes in the back, or make the photo a little brighter by changing the lighting settings. Clean up your pictures so that they are ready for your adoring audience to view! 10. HAVE FUN - If you'r not having fun with you items that will convey through the picture. Have fun with the photo shoot, be creative, try a new background, pose or location. Keep changing it up and your pictures will evolve through out your journey. Make them better than the rest! I hope these tips help you. They are something that I think of regularly when I'm getting ready to take my pictures. Take pride in your photos and the message of confidence in your work will portray itself. I should look into a light box for taking photos of cloth diapers I write reviews on! 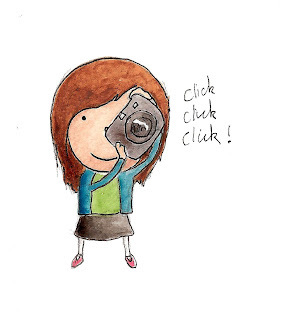 I definitely embrace many of these tips, especially taking photos of on sunny days outside! But it was so hard during the winter when the daylight was short and the opportunities slim. I agree, winter is very hard. That's when I take all the lights in my house and turn them on, and bring them over! I agree with all of these tips ! Especially going outside . It takes so much less editing when you have that natural light . Great tips thanks for sharing ! Yes! I love being able to go outside, the pictures always come out 10 times better. Winter does make taking pictures hard. That's when you have to be creative indoors, and maybe even get a lighting box. What helpful tips. 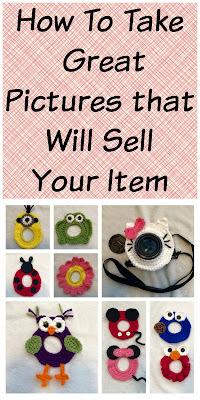 Now I don't sell anything on etsy, but I loved knowing how to make your photos attractive. Because that is part of the selling point. Thanks for sharing! It works for other photos too. I try to think about these tips even when I'm just taking pictures of my children! Sadly I never even heard of a lot of these! Some great tips that I desperately need to try because I'm a blogger and need to have quality creative photos! Thanks for these tips! I'll make sure to use them! I'm glad they help you. Thanks for visiting! I agree with all of these tips! I find my phone photos can actually turn out pretty sharp and clear if I take photos outside or right by the window. I'd love to get a light box and see how different my photos turn out! I always use my phone too! 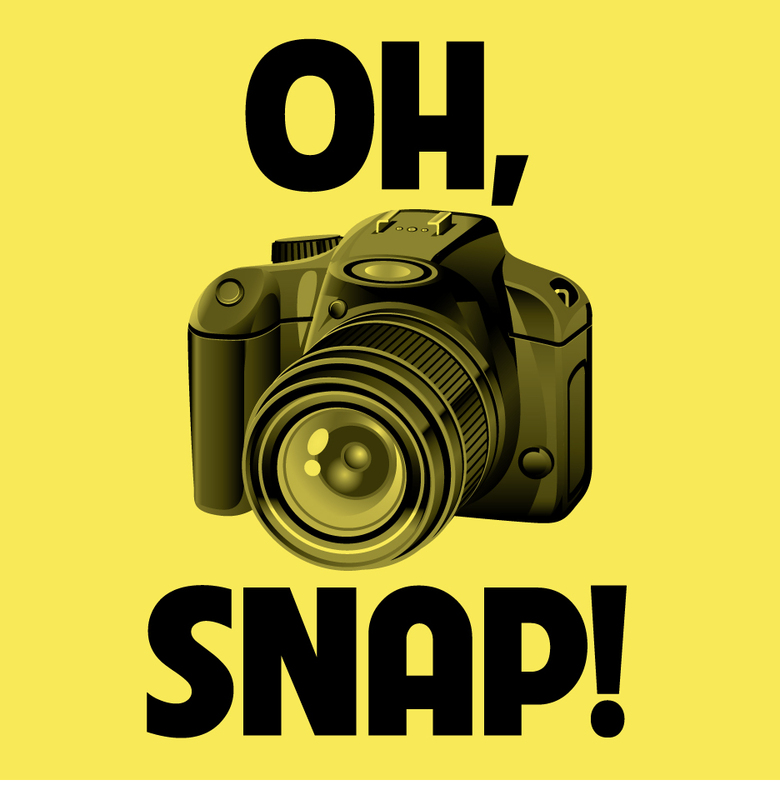 As long as you are smart about it, and follow these tips, phone photos can come out well! I totally agree with your tips. Lighting is so important: if I can't get good lighting inside I go outside and shoot from different angles to see how the lighting will affect the shot. Using a dslr also helps too and modifying pics with apps after too helps. 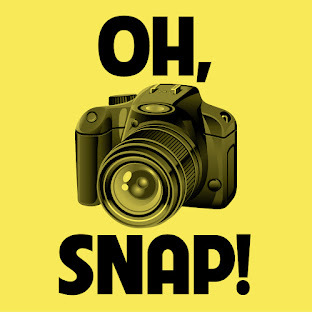 I bet you get great pictures with your dslr. I only use my phone, because it's handy, but know I could get the pictures a lot easier with a nicer camera. I love these tips! I recently invested in a "Fancy Shmancy" camera for myself- but need to learn how to use it!! I've heard from so many others what you have suggested- get a light box- and you are so right- the picture does make a HUGE difference!! Thanks! That's awesome! I have one that I bought a long time ago, but never really learned how to use it. Plus, I love the convenience of just editing on my phone and then sending it to my email so I can upload to my posts. I realize that a nicer camera would give me better pictures though! Oh, your lucky! I bet he helps you with some great pictures! Shooting using a natural light, is the trick I've been using and makes my photos more presentable. I even shoot outside the house just to chase the perfect light. I do as well! I love it when it's bright and sunny out. The pictures come out so well! I'd add that if you are using inside lights, try to ensure your bulbs are white or daylight colored. Typical household lights cast a yellow tint to photos and makes them look quite unnatural. If you're using a DSLR, turn up your ISO and exposure composition to compensate for any lack of daylight. I bought an inexpensive lighting kit on Amazon for cloudy or winter days. Oh good tip! Thanks for adding that! I agree natural lighting is best, and a clean area is easier to look at. I'm a sucker for natural light & I refuse to shoot in any other condition, but that's just not practical, isn't it? Sometimes I rely on postproduction to make my photos look better. It's tough I agree. There are times where I really want to post something, but it's suppose to be raining for like the next week. I then pull out all my lights and just try to get the brightest picture possible, and then touch it up in editing! Great tips and good to know! I am definitely sharing these! Crochet Patterns for a Puppy and Owl Scoodie!